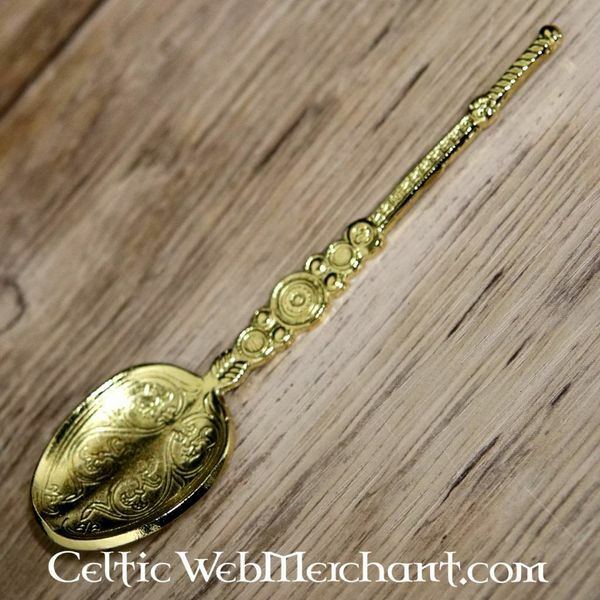 The anointing spoon is one of the oldest objects used in the coronation of a British monarch. Holy oil is poured from the ampulla onto the spoon, and afterwards applied to the new monarch's head, breast and palms. 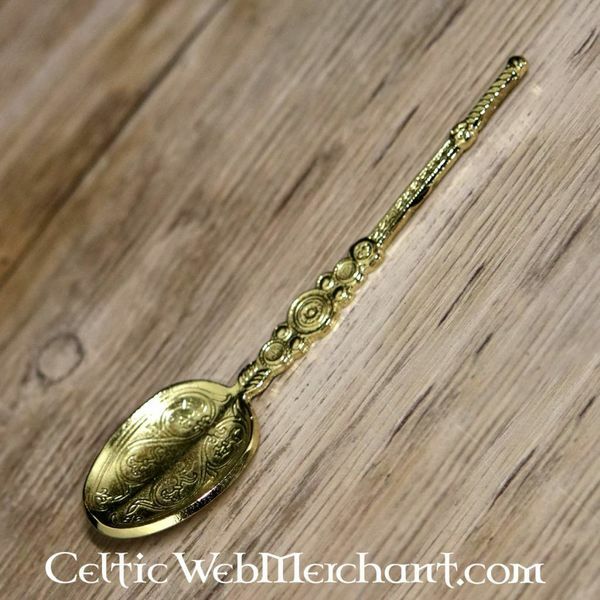 The original is made of silver gilt and is earliest recorded in 1349, though the style of the spoon dates from the 12th century.